In true Halloween style we could tell you about some of the horrifyingly bad wines we’ve tasted on your behalf; the wines that smell and taste like boiled cabbage, the wines that are so astringent and bitter your tongue puckers and you can feel the enamel dissolving on your teeth, or the wines that fly out of your mouth so fast you aren’t sure if it was a spit or a retch. But we shan’t. Instead we will tell you about the wines we tasted that made us sigh with pleasure, the wines that, when the rest of the tasting team aren’t watching, you allow yourself a swift, indulgent swallow. 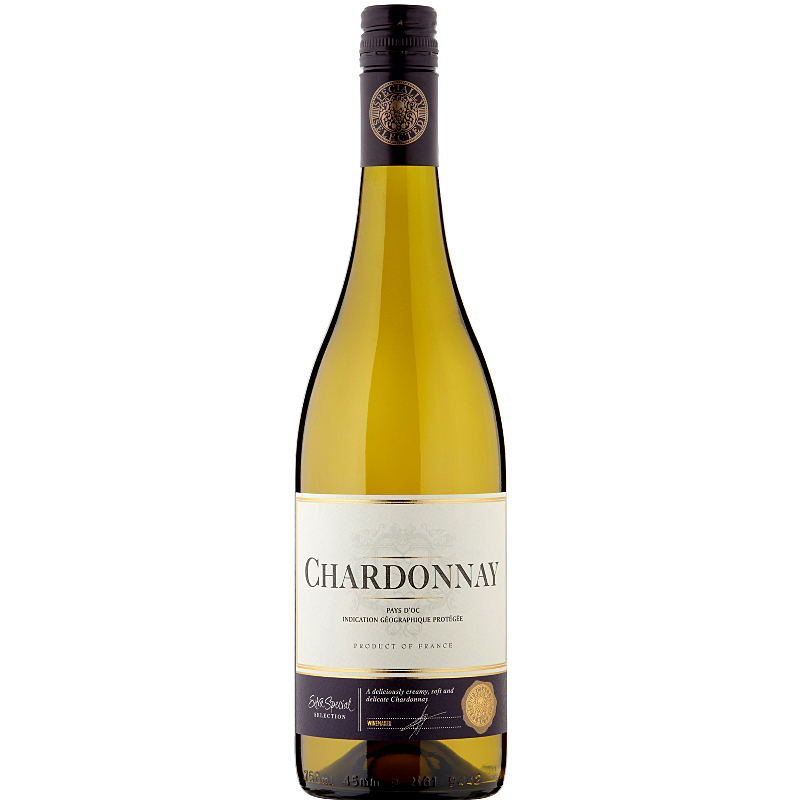 There is something eminently comforting about good Chardonnay, it could be the bright peach and apple fruit or maybe the crumbled shortbread richness that makes it so welcoming. Whichever it is, if it could fetch you your slippers and give you a shoulder rub, it would. The Asda Extra Special Barossa Chardonnay 2014 from Australia is just such a wine; elegant and ripe yet refreshing and revitalising. We thought it was worth £8.00 but at just £5.00 it is the perfect every day wine. Click here to buy by the case. Pinot Gris is the same grape as Pinot Grigio but tends to be made in a richer, more textural style from Alsace in France. The Morrisons M Signature Alsace Pinot Gris 2013 is an absolute corker and the perfect autumn white wine. Rich creamy flavours of quince jelly, baked pear and ripe apple with a seductive smoky minerality and a hint of sweetness. We think it is a cracking wine that is both richly satisfying and fresh, and we would happily stump up £9.50 for the pleasure. At just £8.00 it makes a posh wine a brilliant deal. Click here to buy. The reign of lovely dark, brambly, chocolatey Argentine Malbec continues unabated with the Majestic Definition Malbec 2014 from Mendoza. It has ripe black cherries and damsons with some toasty oak spice and a bright fresh finish. As the name suggests, this is a really classic example and though we hate to be clichéd, it would work damn well with a juicy steak. For a well crafted Malbec we felt it was worth £10.00 but when you buy 2 bottles in a mixed case of 6 it is just £8.99. Make your steak happy and give it the right dancing partner. Click here to buy. Wine is all about holistic, hedonistic enjoyment, so if you are looking for something wonderfully indulgent for a special occasion than head to Aldi and hunt out the La Sogara Amarone 2012 from the Veneto in Italy. This Amarone is rich and velvety with sweet prunes, red fruit and figs, subtle notes of leather are developing but there is still a delightful freshness to the wine. Amarone is always a powerhouse of a wine, so definitely enjoy this one with a warming meal. We thought it was worth £16.00 but at £14.99 you are really getting some bang for your buck. Buy in store only.